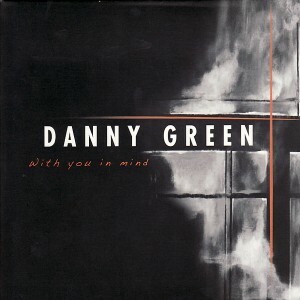 Pianist Danny Green shows flexibility in his playing and expansive knowledge of jazz music’s artifacts as demonstrated by the compositions on his debut solo CD, With You In Mind. Produced by Green and with all compositions written by Green except for Danilo Perez’s tune “Suite For The Americas,” the numbers vary from the classical jazz flips of “Baiao Pra Voce” to the Italian stylized keys sewn into the fabrics of “Doctor Pasta,” all with a touch of Brazilian elegance. The moonlight ambience of the title track, which he wrote for his fiancé, is offset by the bouncy rhythmic struts of “Jellyfish” and the dazzling spirals of “Para Chano” as each tune displays a different facet of Green’s playing. Whether his fingers traipse delicately across the keys or march swiftly, Green always shows a level of refinery that entertains and holds the listener’s attention. A native of Southern California, Green plays as if he was raised in the heartland of jazz central. A merry rhythmic clopping interacts with Green’s twittering glides in “Gigi” producing a lively exchange, while the perky melodica keys that he plays along “Panic Naps” cut in and trail away at various points always maintaining a casual stride. Green’s tune’s pervade an after-dinner smoothness and relaxing kind of mood that persuades listeners to let down their guard like in the lounging fluttering keys looping around “Off The Streets.” The cheerful tossing of piano keys and leaping saxophone notes stylized with a choro flicker along “The Last Minute” lay low through the soft broiling bass sprigs before firing back up the shaft. Green steams up the room pressing hard on the keys through Perez’s tune “Suite For The Americas” which sinks into haunting groans and then evolves into a tugging and pushing rapport along the stages of the track, before ending the album with the soothing piece “Lullaby For A Poet” with calming harmonies and gracefully strapped layers. Green is well versed in classical, Latin and smooth jazz styles. He credit’s the CA Brazil Camp for helping him to understand Brazilian music and incorporating its dowels into his own playing. He has played with such top musicians as Gilbert Castellanos, Jovino Santos- Neto, and Chico Pinheiro to name a few. His compositions apply classical jazz tenets while also testing newly phrased patterns. He points out about music in a recent press release, “One of the things I love about music is that you can always keep aiming higher, and the effort is always worth it.” Green seems to move through walls or at least moves the barriers of jazz to include new ideas, and With You In Mind is proof of his endeavors.